Sell your broken 16GB iPhone 4 online through OnRecycle and get the most money: in seconds, we compare the major damaged phone recyclers to make selling your broken 16GB iPhone 4 easy! The best place to trade in your broken iPhone 4 16GB for cash? OnRecycle, of course! 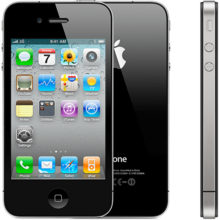 In just a matter of seconds, we'll compare broken iPhone 4 16GB trade in prices from a variety of trusted recycling companies to find you the best possible offer. We'll even display payment methods, speeds, and user reviews to ensure you can sell your broken 16GB Apple iPhone 4 with confidence.